Hopes of nourishing a hungry Soul. And illumined waterfalls of gentle rain. Invited to the Feast of the Seeker. I am a book addict. I admit it proudly and will shamelessly give you detail of all the steps of my addiction. There was a time when I was a young girl that I had very strict standards about what books I read. The thicker, the smaller the print and the more vocabulary dense- the better. You know that scene in Disney’s “Beauty and the Beast”, when the Beast opens the doors to an endless library? That was my ultimate fantasy. When I was younger, I spent hours at the local library with my Grandmother. When I was a teenager, I got a job as a page at that same Library and spent countless hours shelving and stealing away to devour every book I could get my hand on. As a Young woman commuting to New York for Ballet, I read book after book, while happily riding the morning train. When I became a mother, I read hundreds of books over the summer to our five children, each eagerly selecting their own pile to be read on weekly trips to the library. 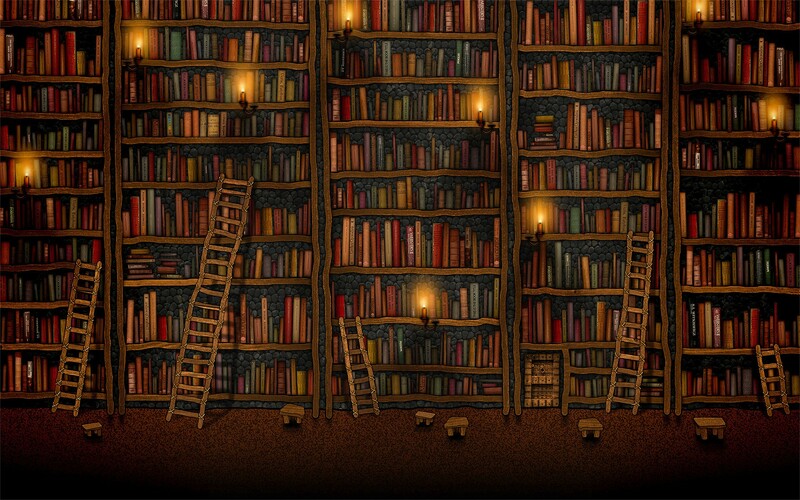 Every book honed my skills of imagination and every book set up a visual library within my psyche that now I use as the reserves of magickal visioning and practce of energetic connection. So, what is the inherent magick in a book? Some of our most successful magick is born from what we envision as we set our intention towards manifestation. Our desires and wishes become the intention of will to action and from that foundation we weave and craft our spell of making. Reading a book stimulates this creative action. We see words on the pages and images emerge that fit the intention. The more involved we become in the story or information, we begin to hear the narration of these words as we read as though the instructor or beloved characters are whispering over our shoulders. I have been told by those who have attended my workshops that they could hear the sound of my voice in narration as they read one of my books. They are actually calling up the holographic energy I’ve put into the writing of the book. The images become the encyclopedic reference we use as we categorize and analyze similar images in our daily or magickal workings. The tactile sensation of holding a book in your hands, feeling the weight of its pages and turning each page is an experience that engages much more than the physical sensation. Energetically, you have given the signal to the brain that something new is at hand. Your eyes scan the pages of word and image and the brain processes al that it sees and formulates the subtle connections that become the stores of information received from the simple writing of words on a page. Yes, I am proudly old school about books. I love technology, Kindles and the Nook, but there is nothing like a physical in hand book. One of the favorite exercises I give to my students to do when we begin studies of sensing energy is to suggest taking their favorite book and as they read the pages to imagine what the author must have been feeling and trying to convey as they wrote the words. To allow themselves to energetically connect to the words, beyond simply reading each, but also opening to the sensation of the rhythm and vibration that word is setting into motion. This works at two levels, because not only are you connecting tot eh author’s intent, but also being aware of your feelings and response to what you are reading. You will note that I have not even touched upon the subject matter contained within a book of choosing. The point being that the simple act of reading a book- regardless of subject matter – has impact at subtle levels. Add to this, the reading of a book that relates to spiritual and magickal pursuits and the energy to be gathered has even greater potential for taking the reader on a journey of vision and energetic connection. Now I write my own books and try to imagine as I am writing what my reader will be hearing and seeing as they read the words lovingly put to paper. My home library is extensive and additions are frequent, despite limited space. Each is like a supportive friend and teacher that has opened my perspective and enriched the inner library of my magickal practice. 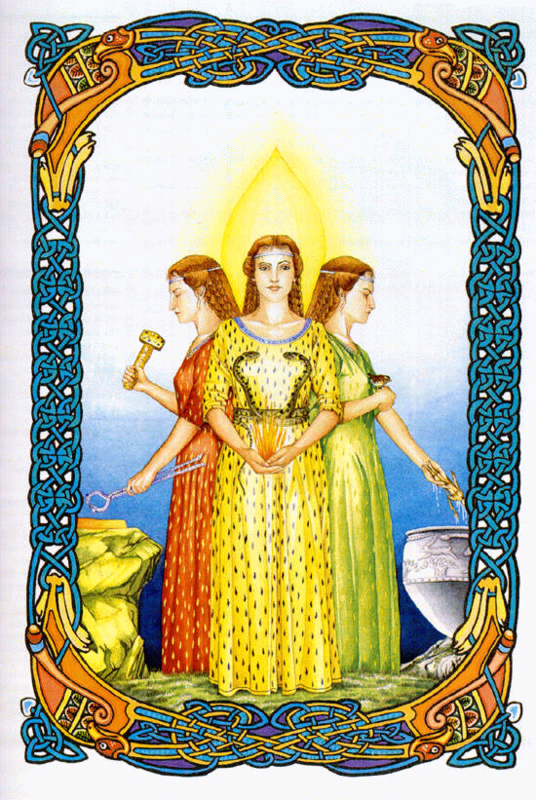 Imbolc is just a few weeks away and many use this Sabbat as a celebration of Brighid, the Goddess of Flame and Creativity. This turning of the Greater Wheel moves us towards a place of newness and the quickening of what was brought to light at Yule, the Winter Solstice. We stand at the mid-mark between the act of revealing (Winter Solstice) the fertility that lay dormant from the triple harvest and the action of sowing and planting (Spring Equinox) what we hope will prove viable and grow to its fullest potential. This is the time of quickening and enlivening the hidden seeds of transition and preparation of what will wither and die and what will germinate a become viable product. Take a few deep breaths and allow your consciousness to settle at the space of the third eye. Turn your attention within and see on this inner landscape a blank screen and allow yourself to be drawn towards it. As you focus on this space you become aware of a small mist of indigo blue energy forming in front and around you. The particles are very small and the energy is both uplifting and relaxing as it encircles you. Take a few deep breaths and step through this veil. As you emerge, you find yourself standing outside what appears to be a blacksmith’s shoppe. You can hear the rhythmic clanging of a hammer and smell the fires from the forge. It is evening and all is dark around you save for the light glowing from within and shimmering through slats of a wooden building. You step forward towards the open entryway and stand quietly observing a wiry built man bent over and working deftly as the glimmer of unpolished metal flashes. Repetitively and with great precision, he places the unshaped metal into the forge, heating it and then pulling it out to the edge of the table, gently hammering it into the desired shape or at times simply allowing the red glow to cool before it is placed once again in the hot flames. This occurs for several times and with each heating and hammering, the metal takes on more of the shape of the blade. He looks carefully at what has been crafted and satisfied that this process is finished, he gently wraps the blade and places it aside allowing it to cool completely. He pulls from the space in which he placed the cooling blade another wrapped item and as he unwraps it you see that this is a blade that had been crafted a day earlier. He steps over to the grinder and begins to sharpen and finely hone the edges and point of the blade. You notice that this blade seems to glow and has a certain shine to it already, although it is not polished. You feel drawn to it, but remain standing in the doorway, hoping that you will remain unnoticed. He looks carefully at the edges and then plunges the sword into the heat of the flaming forge. Quickly the glowing red blade is retrieved and plunged into a water bath to speed the cooling and hardening process. Again the blade is tempered by heat and water and you think on the process of emotion and will and the need for the correct balance of each to be in place to make for supple yet strong action and purposeful will. You see the Smith smiling as he lifts the blade upwards, knowingly and assured that it will have a certain amount of flexibility yet still retain its sharp edge. Now the sword is ready for completion. He selects the necessary parts of pommel, guard and hilt and with skill assembles all precisely and artistically. The sword is now complete and he lifts his gaze, staring directly at you, beckoning you to come towards him. You are ready to speak, but he lifts a finger to his lips indicating for you to be silent and to follow behind him as he brushes past you. He steps outside and you turn towards him, both of you facing a sky that is now colored with the rising of the morning sun. He lifts the blade upward and it shines brightly as the first fiery rays of sunlight stream across it. The brilliance of its reflection expands and for a moment you close your eyes, the intensity is so great. You open them and see that the blacksmith is gone and hovering mid-air the sword glows red and pulses with heat that seems to course through you. The flaming glow fills the space and from its center the blade elongates and transforms into a woman of great beauty and flaming red hair. Her eyes glow like sunlit embers of flame and you bow in homage to the Goddess, Brighid. As she approaches you feel the power and strength of Her presence. You see that she carries the sword that you witnessed being crafted and you feel a gentleness about Her that offers you comfort as to how this Divine sword might be used. She has come as the healing sword to offer her many gifts if you ready for her transformative energy. You approach and kneeling before her you speak of what needs healing and transformation. Each word spiraling up and out like wisps of smoke heated and released by her power. You surrender to her all your doubts and fears and one by one each is dissected and removed from your being leaving you feeling light and unencumbered. When you have finished offering all that has troubled you, she bids you to look upwards and as she lifts her fiery blade warm droplets of healing water shower down about you. Compassion and warmth envelope you and you are held in the embrace of the Goddess as she quickens and enlivens you. Rest in this state for as long as is needed. When you have received all that is needed at this time, you gently rise and offer up gratitude to the Goddess for the blessings she has given. As these thankful thoughts quicken in your mind and move easily from your lips, you begin to step backwards, as flames begin to rise where Brighid was standing. They reach upwards like strands of red hair caught in a breeze and give the appearance of flickering with shades of emerald green and flashes of silvery metal. You stand taking in the beauty of the sight and the warmth of its heat and the knowledge that you have been transformed by the Goddess, Herself. The flames gently dwindle and fade and in their place is the smith holding the sword of the Goddess. He walks towards you and gently places it in your hand, softly telling you that it had been crafted for you. He tells you that the gift of the healing sword is given to those who will use it wisely and courageously. And, that the Goddess who offers this gift is always near at hand, ready to inspire and offer her healing so that you may thrive and grow as Her Divine Child. You take a deep breath in and close your eyes, holding the sword tightly to your breast and as you exhale and open your eyes, you see that your awareness has returned to that of observing the blank inner screen of your consciousness. You take a few deep breaths in and with each exhalation your awareness settles back into the space of your physical being and space surrounding you. You gently flutter your eyes open and look around at your surroundings with keener sight and the knowledge that you carry the healing blade within. I’ve written many articles on Spiritual Practice; its benefits, creating and personalizing and so on. So, when this topic came up again, I realized that I have been doing things a bit differently for a while now as far as what my personal practice has BECOME. When I have thought in the past about what constitutes my personal practice, the usual list of methods and tools came to the foreground. 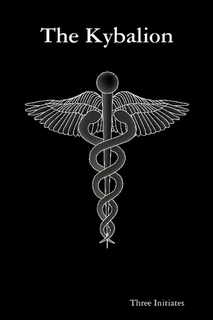 Staples such as meditation, energy protocol, spell work, Esbats, devotionals, Sabbats, etc… all have been prominent in my craft and have carried and sustained me to the place I am along that path now. One of the tools I did not consider in that mix was my writing. That is until now. I work full time, have a family, High Priestess a coven and write! I write daily and at times a good portion of my lunch, early morning or late evening hours are spent writing. At times this writing and the self-imposed deadlines have eclipsed the time for engaging in my “personal practice” and I have duly reprimanded myself for not making time for meditation, personal Sabbats, and such. Instead, I have chosen to experience them through my writing and various blogs that were finely tuned to be attuned to these cycles; although at the time I did not realize the writing to fill these blogs was the practice I was cultivating. As I dug deeper into disciplining myself to write about various topics in a variety of styles, I realized that this was a practice unto itself. I formalized this writing in a ritual of personal dedication to become a conduit for information to flow and shared experience of what I have learned along the way. And, in this sacred space, I put to paper some of the first writings that would evolve into a daily practice of many. Now, I see that the writing has opened me in ways that I would not have imagined. It is a way of projecting the experience I am writing about into the world as bits of energy to draw from. It is a way of connection to the Divine as words flow and ideas take creative form. It is a way of re-membering and re-telling those memories as they evolve into what may be used in practical form in this life’s experience. It is the action of contemplative/meditative, energetic and spell weaving using words, hands, mind, heart and the will to write. So, for now if asked what is my personal practice I would say writing! December 31st marks the last day of the calendar year of 2014, and we bring all the accumulated lessons, joys and sorrows of that year with us as we cross the threshold into a new beginning- the first day of a new year. For many, this self-initiated new start is welcomed by the making of carefully and thoughtfully chosen “resolutions”. And, just as many, often find that by the end of that cyclic year, those resolutions have fallen by the wayside, replaced by regrets or excuses for not having accomplished what we had set out to. What I would like to offer is a new way of looking at this yearly ritual. In fact, we can get the process off to a good start by thinking and approaching it more as a ritual, complete with inspired intent and focused will that may serve to enhance the determination needed to sustain you throughout the entire year. When we enter into ritual space, we have certain expectations. The first of these expectations is that we are entering into a sacred act or agreement, if you will. We expect that our declarations and devotions in ritual will be supported by Deity and we rarely, if ever entertain the idea of failure as an option. We pour all of our intent and desire into focusing on the successful outcome we are expecting from the work being done in sacred space. 2. A course of action determined or decided on. 3. A formal statement of a decision or expression of opinion. These definitions create the basic energy put into the making of a resolution, but the etymology of the word lends a different perspective. 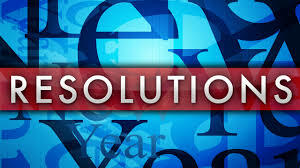 The word resolution is directly derived from the Latin verb resolvere (also-Solvo, solvere, solvi, solutus) which means to untie, unfasten, loosen, unbind, etc. The prefix- re- has two distinct meanings. One interpretation of the meaning of the prefix-re- means “again”, and the other meaning of it implies “backward” or “back”. So, we could say that the literal meaning of the word –resolution- is to unbind again. If we think on this definition we can easily see the cyclic nature of setting into motion what action or change we desire. With the ending of each year and the beginning of another we return to the same old quandary of setting goals, that are still largely under the influence of old patterns and behavior. We would not consider reusing a spell or attending a ritual that was ineffective, yet we allow ourselves to remain caught up in the magick of our own un-making. But, if we approach the resolution making process as one of releasing ourselves from this cycle, there is more energy surrounding the positive and successful nature of this timeless ritual. As we move through our daily practice, weave our magick and go through our mundane activities, part of this process involves release and loosening up to open up more fully to what we wish to bring into our lives. The alchemy that is a part of that process is the creation of something that will be strong, flexible and serve as a foundation from which we can see more clearly, make more effective choices and realize the great power we hold simply by opening to our higher intent. Magick that allows for the flow of carefully directed energy, bolstered by the resolve of intent is ultimately enhanced when that direction is loosened, becomes flexible and moves in a way that can foster growth and expansion. We are always in a state of change and growth. It is this movement that affirms our life and our humanity. So creating goals, or resolutions for this process are appropriate tools towards helping us move towards our higher purpose. If we create the intent of our “resolutions” to unbind or loosen us from behaviors that we repeat time and again that are not productive and supportive of our forward moving growth- we allow the space of confinement to break free. If we create “re-solutions” to those hindrances of the past that keeping us looking backwards and often distort or skew our objectives of self-actualization, we have tapped into a very powerful and transformative tool that allows us to be more fully present in both our mundane and spiritual activities. And, when we relinquish our need to constrict and control the course of our actions, we can be more receptive to the many joys and opportunities for stepping into the energy of our inner power and become more firmly resolute in our adaptability to the challenges that come our way. If we return to the idea of ritual and sacred space, consider sitting quietly in a dedicated space as you put to pen and paper your resolutions for this new year. If you want to keep it simple, light a candle, take a deep breath to clear your focus and intent and fill your space with supportive energy in accord with what you wish to bring into manifestation through your resolve. If you want to fully embrace the magick of what you are resolving to, create a ritual working that incorporates the writing down of your intentions. Ground and center, purify, cast your circle and call in the specific elemental energies that will sustain your resolve. Make your declarations in witness of the seen and unseen and be sure to offer up thanks to those supporting to seal your working and resolve. In whatever way you choose to begin this yearly process, as you sit and pen your “resolutions” for 2015, take a moment to pause and give breath and intent to those things you wish both to release and to bring into your life. Take some time to open to all the possibilities that these new intentions offer up. As for me, my resolution is to stand with open arms and open heart to what lay ahead. To remember the lessons of a resolve that is born of allowing the energy to flow through me in a way that will be productive. My intent is to fine tune that inner resolve and when I return to December 31, 2015, I will look back at the change I’ve allowed to become my solid foundation. Blessings Bright for an Inspiring New Year!